A PLANNING APPLICATION has been submitted for a tiny microbrewery in Dublin’s docklands area – and it looks to form part of Scottish craft beer maker BrewDog’s plan to open a pub in the capital. The application for an “in-house micro-brewing facility” was earlier this week submitted on behalf of US real estate group Kennedy Wilson, which recently completed construction of the 690,000 sq ft mixed use development, Capital Dock, at Sir John Rogerson’s Quay. According to a Sunday Times report, BrewDog recently applied for a licence to operate a bar and restaurant at the development in a two-storey building at Three Locks Square. Kennedy Wilson submitted an application in December 2018 seeking retention permission to change the use of the building from a cafe or restaurant to a public house with “ancillary restaurant use” and a craft beer offering. Dublin City Council is due to make a decision on whether or not to approve the proposed build on 1 April. Separately, Kennedy Wilson has this week sought permission for an “in-house micro-brewing facility” measuring 50 sq ft and external seating that is intended to serve as an add-on to the planned pub. “It will offer an artisan element and bring social and cultural elements to the traditional pub experience,” the plans stated. The application did not disclose the name of the microbrewery operator and referred to the tenant only as “an operation that has been successfully established in other cities across the UK and Europe”. BrewDog did not respond to repeated requests for comment this week. A Kennedy Wilson spokesperson declined to comment on the matter. The craft beer maker – whose portfolio includes dozens of ciders, spirits and beers including Punk IPA and Dead Pony Club – last year registered a local company. It previously announced plans to open its first bar in Ireland at the end of 2018, but the project was postponed due to a “challenging” property market. In October, BrewDog’s international marketing boss, Dan Jones, told Fora that plans for the Dublin pub would be reignited in 2019. According to the company’s ‘blueprint’, published late last year, the pub is scheduled to open in June – on top of seven other locations. 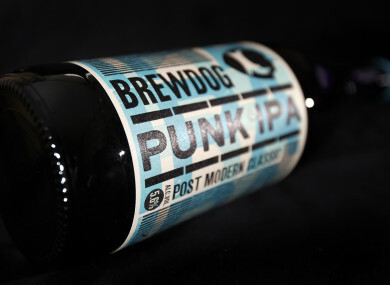 BrewDog was established in 2007 in north-east Scotland with two employees. It currently employs more than 1,000 people. In 2010, the company opened its first bar in Aberdeen. By last year, it was running more than 50 outlets across the UK, the US, Spain, Germany, Italy, Sweden, Finland and Belgium – and one hotel. Its pubs feature a wide range of on-tap BrewDog offerings, as well as guest beers from other craft beer makers. The outlets also provide food. Currently, it runs four breweries in Scotland, Australia and the US. The company doesn’t yet have a physical presence in Ireland, but it has exported to here for several years. In 2017, BrewDog recorded sales of more than £111 million and an operating profit of £2.7 million. Last month, it appointed Andrew Shaw as its new CEO. Email “A tiny brewery is planned for Dublin's docklands and it looks to belong to BrewDog”. Feedback on “A tiny brewery is planned for Dublin's docklands and it looks to belong to BrewDog”.